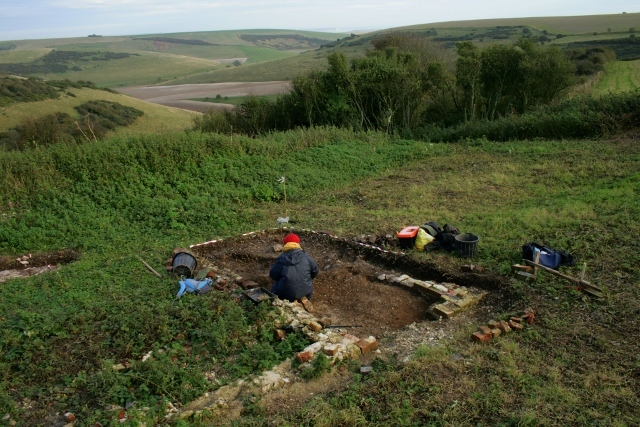 Looking SE at ~1880 extension from excavation spoil heap. 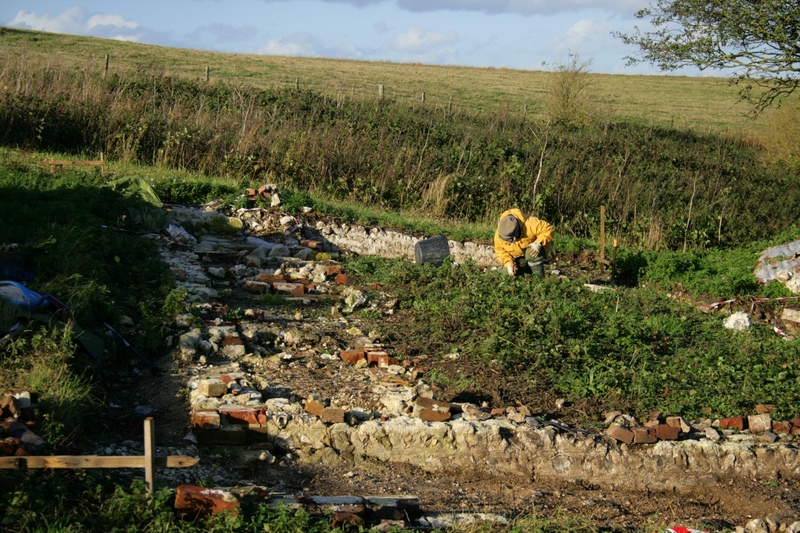 A mid-week unofficial half day’s digging to help get the site ready for our dig tour. The east end of the 1880(-ish) extension to the south of the cottage was further excavated and cleaned up. 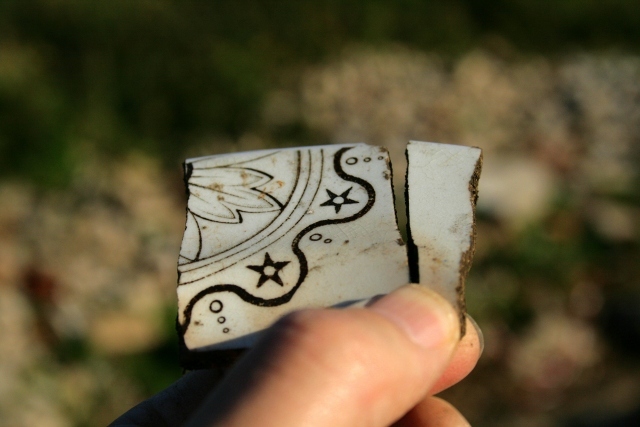 The relatively few finds were expected since they would only be spillage from from the 1950’s bulldozer cut. This had completely removed both the west and east walls, including their foundations, and all of the floor of this room. 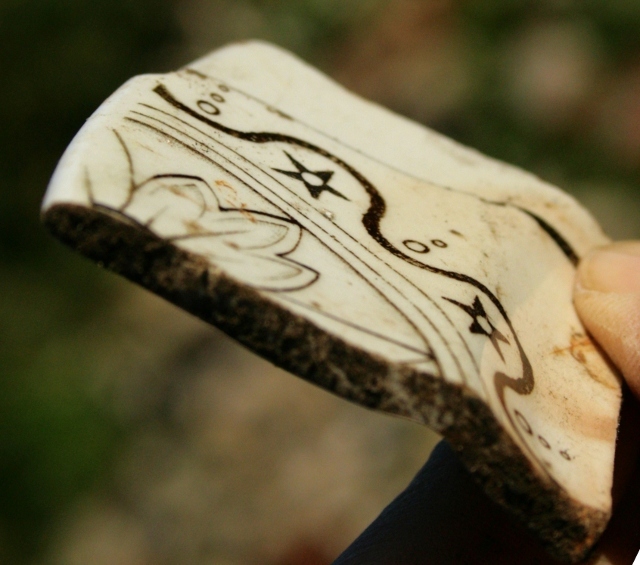 The finds included some undecorated 19th century clay tobacco pipe stem fragments. Looking N across whole of cottage to N boundary wall; click for higher resolution. 1927 – George V – farthing. 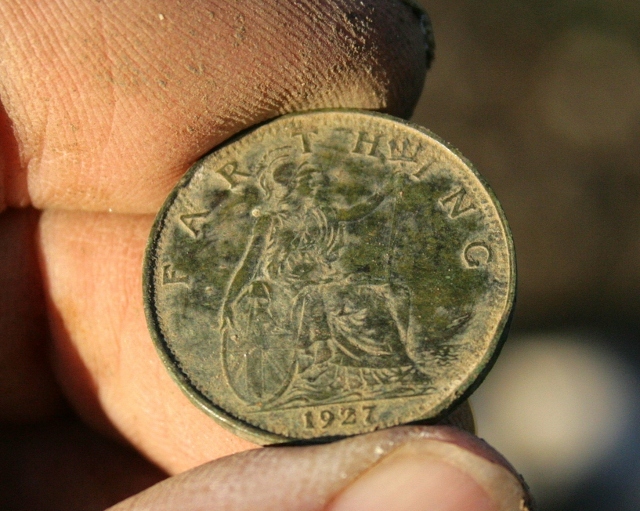 Our third coin – a farthing – dated 1927. 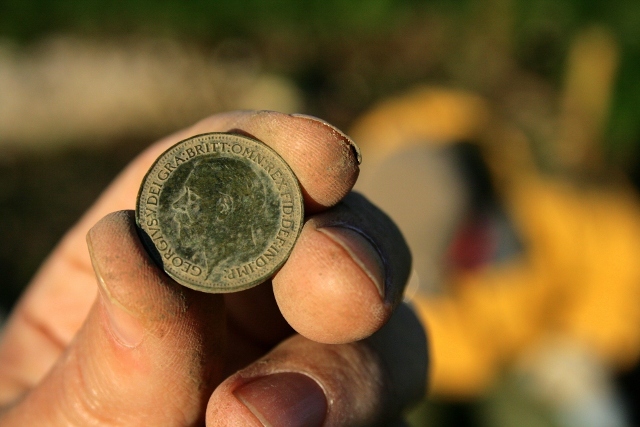 It is interesting to note that this and the 2 halfpennies found earlier, all dated from the reign of George V. His reign was for about a quarter of the cottage’s time of occupation.